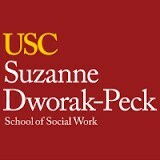 Our USC MSW Interns provide individual and group counseling services to support our students' social/emotional needs. We have two USC MSW Interns that provide on site individual and group counseling services. Arlene and Lily are at Norwood Mondays and Wednesdays. Ericka Paez, Licensed Clinical Social Worker 22462 supervises our USC MSW Interns as they serve our students and families. For more information about the services our USC MSW Interns provide see the links to the brochure below. Consent for Treatment forms are also available below.